In 1865, General Carlton, commander of the District of New Mexico, requested that a new fort be established in the southwest region to protect the early settlers, miners and travelers from the Apache. Fort Bayard, located in the homeland of the Apache, was established in August 1866 by Company B of the 125th U.S. Colored Infactry, under the command of Lieutenant James Kerr. He established an encampment near the mining communities of Pinos Altos and Santa Rita. 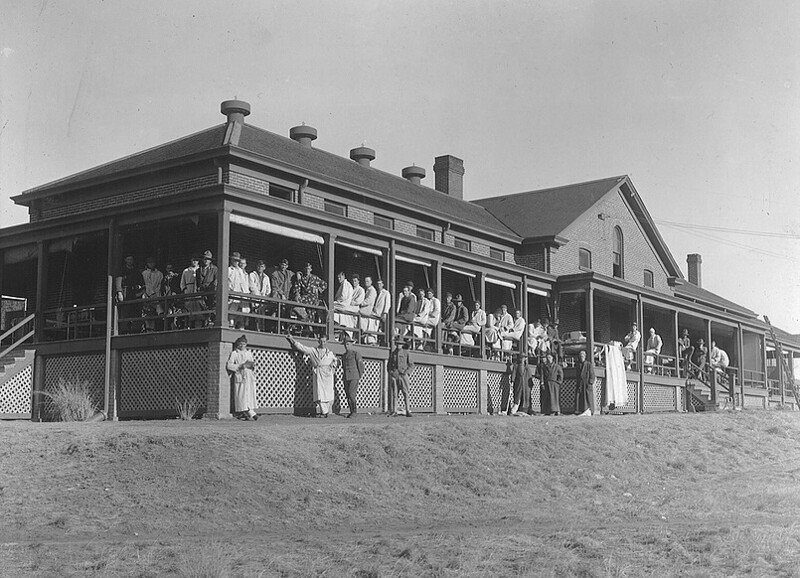 In 1899 the post of Fort Bayard was transferred to the Army Medical Department. This photo was taken in 1890 and located on the Fort Bayard Historical Site.